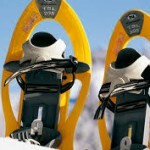 Bed & breakfast la Tulipe Orange is located at a 15 minute drive from the ski slopes. this is because the pistes are located at 900 to 1400 meters height. And also by the large number of snow cannons. When you return to La Tulipe Orange you can join our four-course dinner in the evening. Of course, not lacking a roaring fire in our lounge. 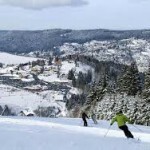 (the red Tetras-piste and 2 green pistes of the Petite Mauselaine), night skiing and skiing for the disabled. Here are 37 ski slopes, 18 ski lifts and 282 snow cannons.’Dew Skiing “from 6 o’clock in the morning and night skiing until 10 pm. 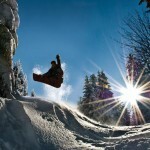 7 illuminated ski slopes, a snow park with music and a slalom stadium. Opening of the ski slopes: From mid-December to late March. 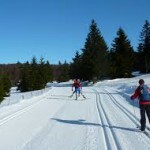 There are many possibilities for cross country skiing in the Vosges. Challenging, but also easy routes for beginners. Paths through the woods or open terrain, even parts of the route the Crête. Almost all pathways are suitable for skating and hiking pass here too is the difficulty again indicated by colors, green and blue for the easy routes and red for the more experienced persons. To do this you use the raquettes. It is a unique experience, but make no mistake, it is heavier than you think. Like walking in the summer there are for snow walking several possibilities.